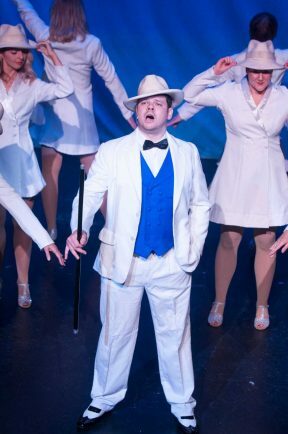 It's a white Christmas: Bob Wallace played by Paul Mitchell. All singing all dancing: The cast in the opening act. Sisterly love: Betty (Emma Sansom), and Judy Haynes (Laura Woodall). 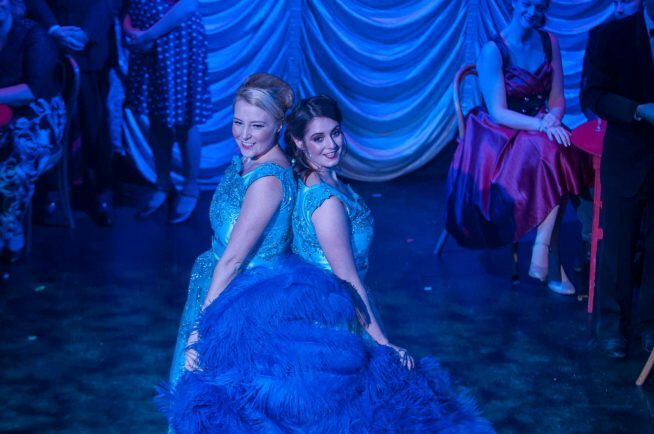 THE cast of ‘White Christmas The Musical’ put on a magical opening-night performance at Redditch Palace Theatre on November 20. 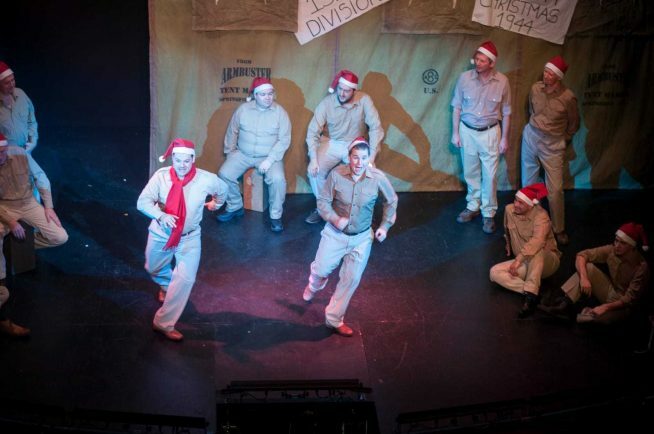 Redditch Operatic Society’s production of White Christmas is based on the 1954 movie made famous by Bing Crosby and Danny Kaye. It lived up to the billing thanks to a talented cast who sang their hearts out and dripped with energy during the two-hour show. Songwriter Irving Berlin has left behind a lasting legacy because each song is as timeless as the next. Classics such as Blue Skies, Sisters, I Love a Piano, How Deep is the Ocean and, of course, everyone’s favourite title song are well performed. The story is centered around the friendship of Americans Phil Davis, played by Ryan Allen and Bob Wallace played by Paul Mitchell. They fall in love with sisters Betty (Emma Sansom) and Judy Haynes (Laura Woodall) who both have exceptionally good singing-voices. The onstage chemistry between the four of them is undeniable, charming and leaves lasting impressions from scene to scene. Bob and Betty’s ‘will they won’t they’ love affair makes up some of the best moments along with Ann Mayor as Martha Watson with her one-liners. But it’s not all cutesy romance because the gags made throughout the show also successfully land on the audience. Some of the biggest laughs come when characters Rhoda and Rita appear on stage. They are extremely whiny but typically slapstick. Afterwards Kelly Mitchell, who plays Rhoda, said: “It was great fun. Stage director Tony Jay also deserves as a mention as his sets take you from the beating-heart of New York all the way to a snowy Vermont Finale.